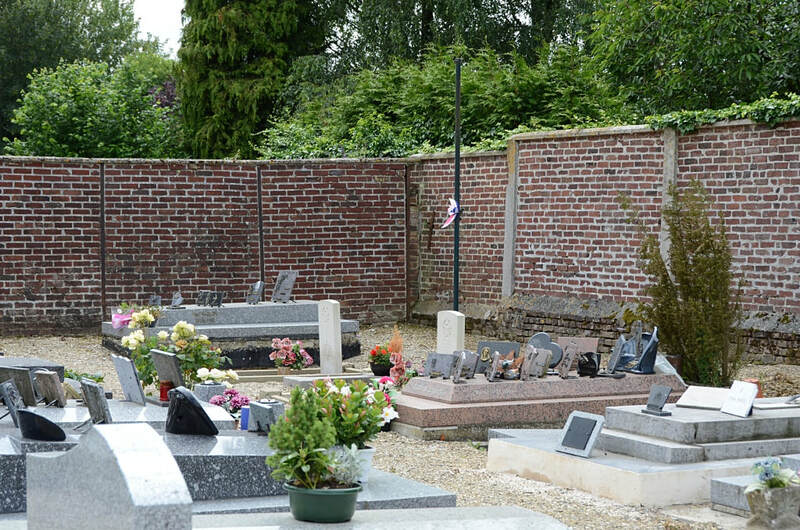 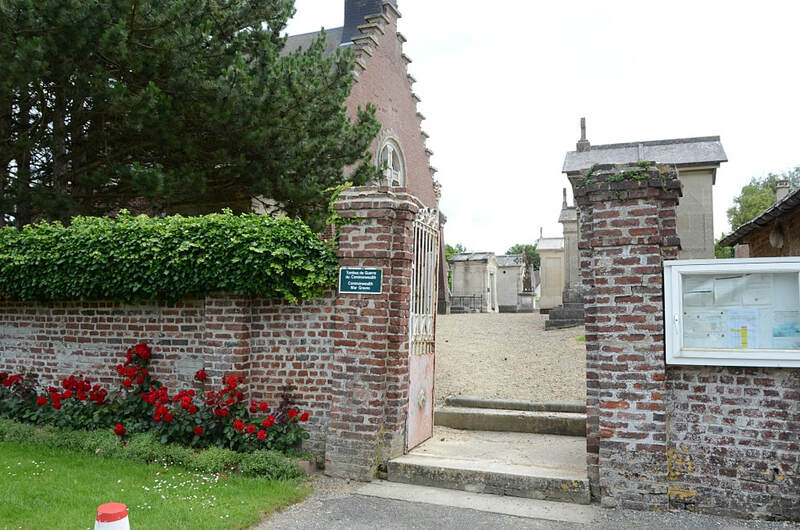 Mesnil-St. Laurent is a village and commune some 3 miles (5 kilometres) south-east of St. Quentin on the D.12 road from that town to Ribemont. 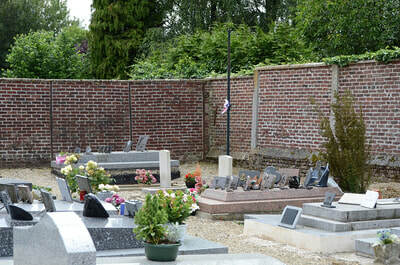 The nearest railway station is St. Quentin, which has good road and rail connections with Paris and the towns in northern France. Taxis are available to supplement the bus service to Mesnil-St. Laurent, which is poor. In the churchyard, in the south-western corner, are the graves of two airmen of the Royal Canadian Air Force. 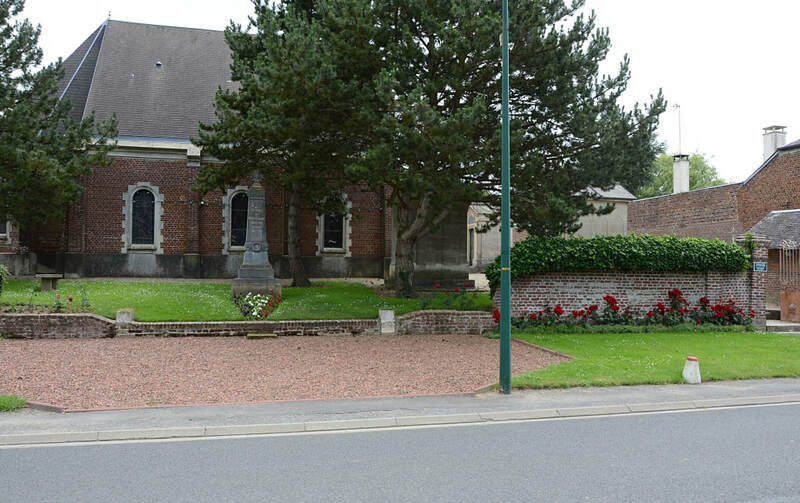 Incident: Crashed at Mesnil-St. Laurent, Aisne. Of the crew of five, Sgt. 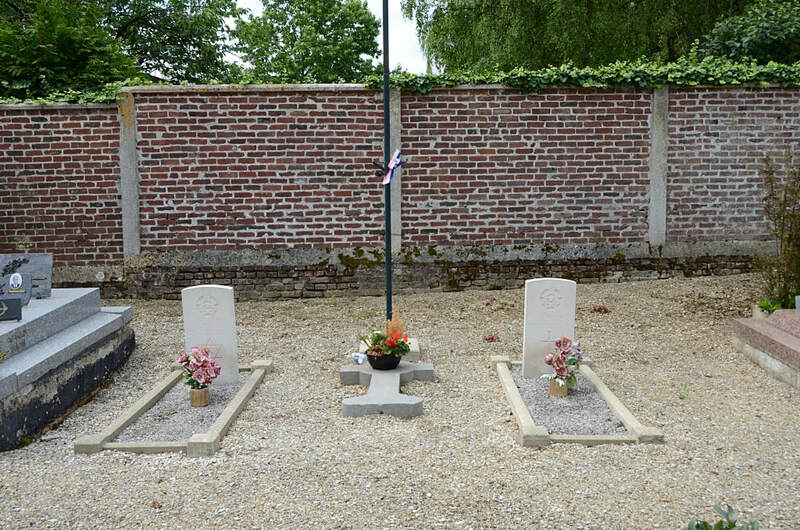 F. V. Taylor and Pilot Officer G. C. Crowther escaped and Warrant Officer H. N. McKinnon was taken prisoner. 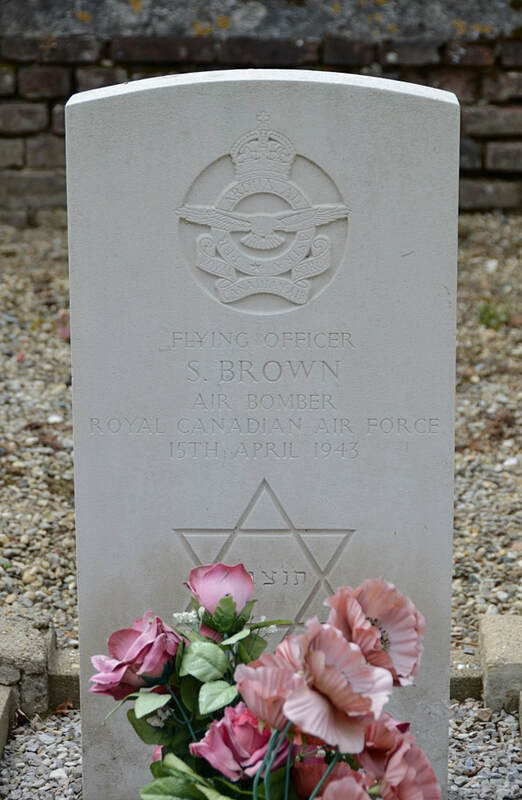 J/5744 Flying Officer Sydney Brown, Air Bomber in 424 Squadron, Royal Canadian Air Force, died 15th April 1943, aged 25. Son of Abraham and Leah Brown, of North Bay, Ontario. 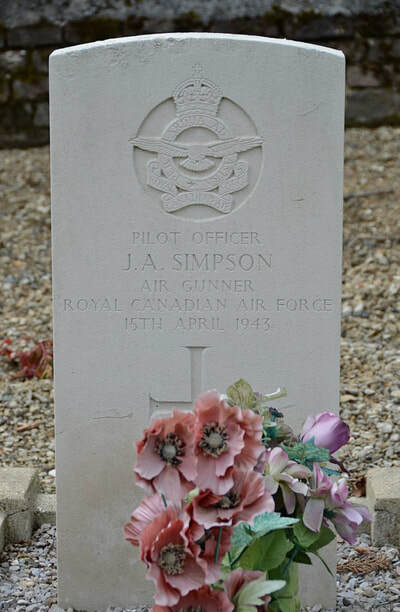 J/17113 Pilot Officer John Alexander Simpson, Air Gunner in 424 Squadron, Royal Canadian Air Force, died 15th April 1943.